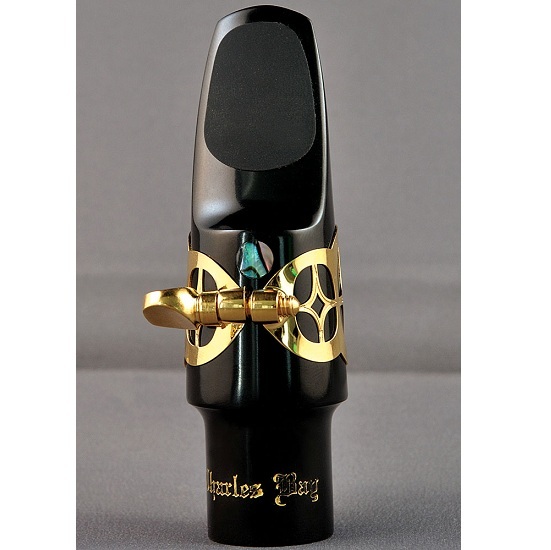 All artist model mouthpieces are meticulously made by Charles Bay and Jonathan Bay. Each one is individually hand-crafted, voiced, tuned and finished. It is then uncompromisingly play-tested in our workshop. Our mouthpieces are internationally renowned for the ability to project one's unique sound whether Classical or Jazz. Free-blowing, ease of articulation, intonational reliability and blending characterize all Bay mouthpieces. Beautifully clear, free-blowing, warm yet powerful. Excellent control. Round chamber well suited for Traditional Jazz, Big Band, Classical. Hard Rubber material. Includes Ligature & Plastic Cap.